From Southbank, SaC and myself walked to the Brisbane CBD for dinner as I was not sure what to have there. Always clueless with the city's orientation, I was taken to New Shanghai! I was quite surprised and impressed by him because New Shanghai has been on wishlist for some time (after being recommended by his parents as well as other food bloggers). We were lucky that night and we did not need to queue, just being seated outside the restaurant. 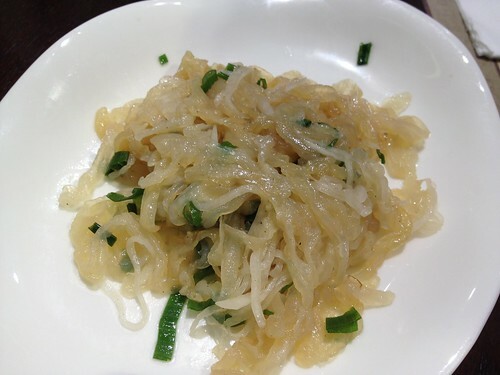 Anyway, for entree we had 'Shredded jellyfish & radish tossed with sea salt and light soy dressing' ($7.50). The jellyfish was light and very refreshing. It was a good start to our dinner. 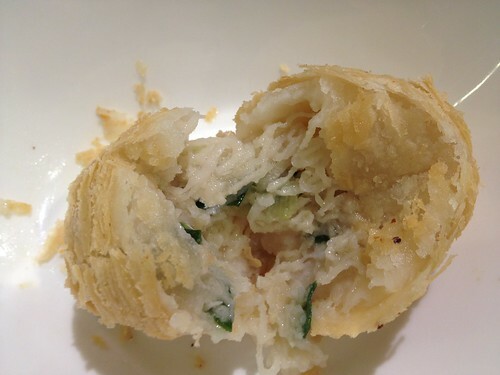 Next up, we had the 'Deep fried pastry with white radish, dried shrimps and shallots' ($10.50). Since SaC took me to Pu Kwong Vegetarian Restaurant and introduced me to this snack (Radish pastry), I fall in love with them. So, I really wanted to try these in New Shanghai. Unfortunately, it still could not beat those in Pu Kwong's. I think the radish here has been shredded too finely and the pastry not as flaky. So now, the star of the night was definitely the 'Pan Fried Pork Buns' ($9.90). Why? Because the thickness of the dough to the content (minced pork) was in balance (not too thick or too thin), the fillings were really juicy and they had crisp base. I like them! But may be a touch oily actually. 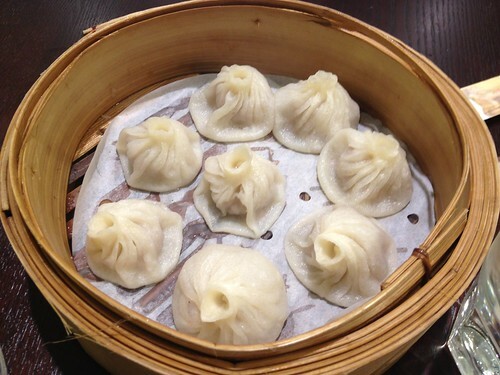 How were the 'xiao long bao'? 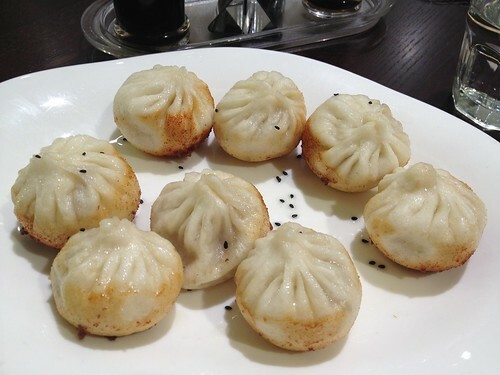 To be truthful, as much as I like 'xiao long bao', New Shanghai's weren't the best. It was a hit and miss that night. Some of them were juicy but some were dry. So, if you have all the juicy ones, then they will be quite amazing! Otherwise, I think it was a good price. 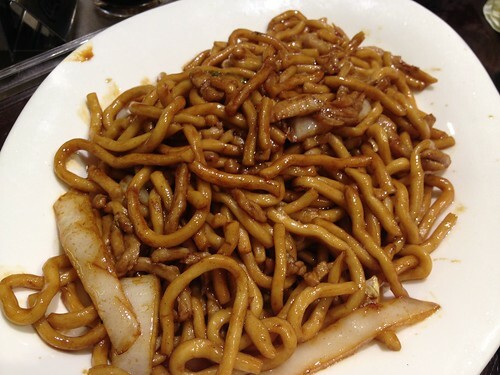 The Shanghai noodle was quite delicious (although quite oily). It was only a simple meal with udon like noodles, chinese cabbage and pork. 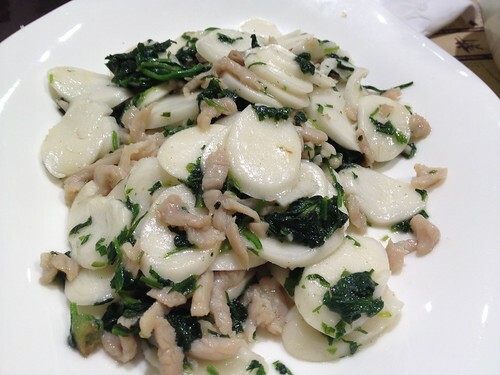 I wanted to try other dish and ordered the 'Stir fried Chinese rice cake with Shepherd's purse and shredded pork ($11.80). Hmm... not too sure what to say about this dish actually. First up, I got no idea what was 'Shepherd's purse' and the rice noodles tasted quite bland actually. The other rice noodles with XO sauce may have tasted better. It was not a bad dish, it just wasn't the best. We had lots of fun eating and talking. 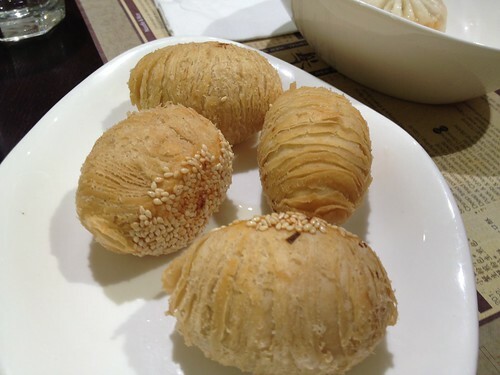 New Shanghai does offer some pretty good 'Shanghainese' food but not all of them. Otherwise a good place to eat at a decent price.